OFX has partnered with BestExchangeRates to offer you fee free money transfers. 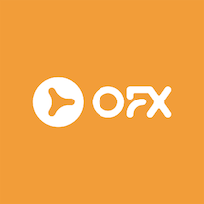 If you register with OFX using the below BestExchangeRates FX partner deal promo code link you won’t pay the usual fees* for transfers. Read our the full OFX review, where we examine OFX rates, fees plus service and technology or visit OFX for more details and to register for free. *OFX will waive (on-going) the standard fee of AUD$15, normally applied when transferring under AUD 10,000. Occasionally, third-party banks may deduct a fee from your transfer before paying your recipient. This fee may vary and OFX receives no portion of it. OFX will save you over 75% in exchange rates margins compared to using your bank and the savings get even better if you are sending a larger amount.